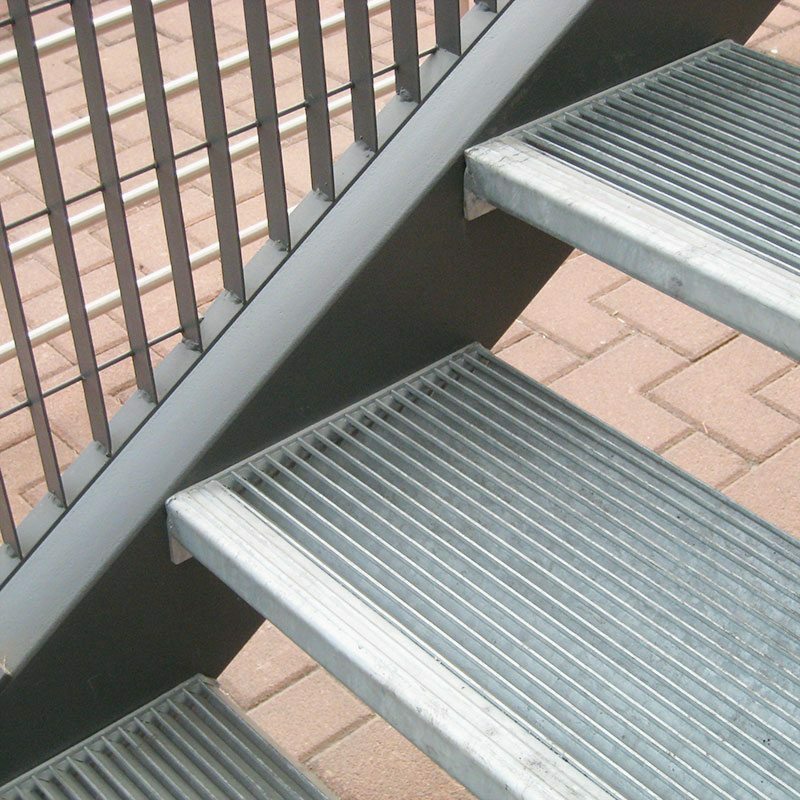 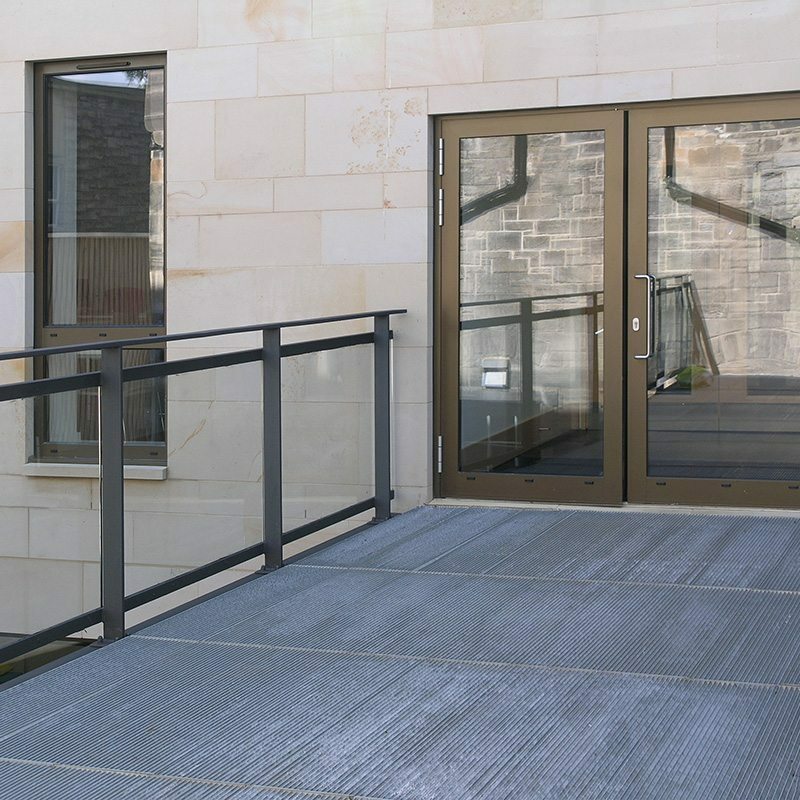 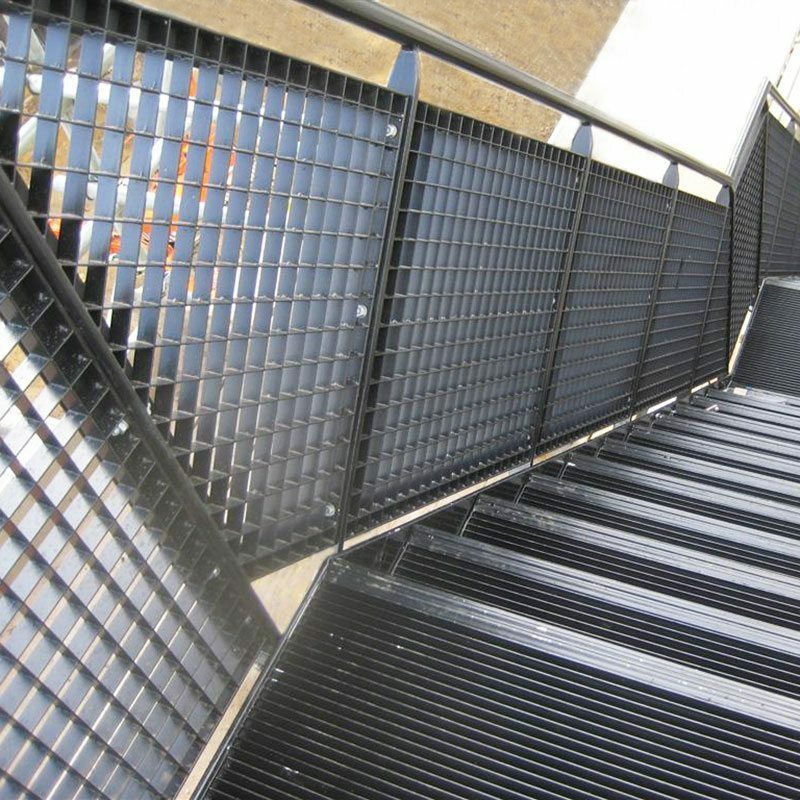 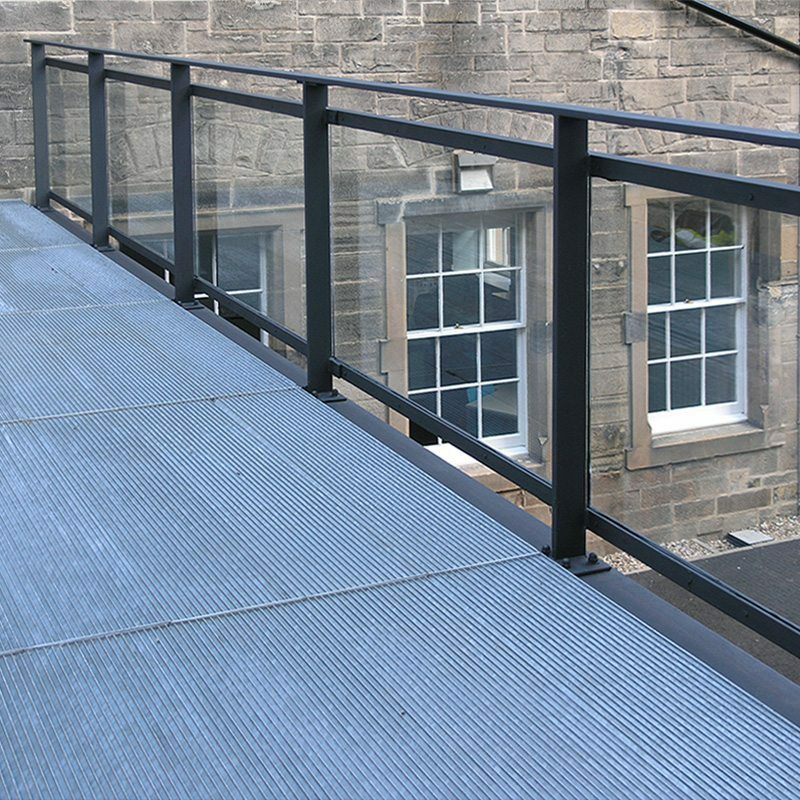 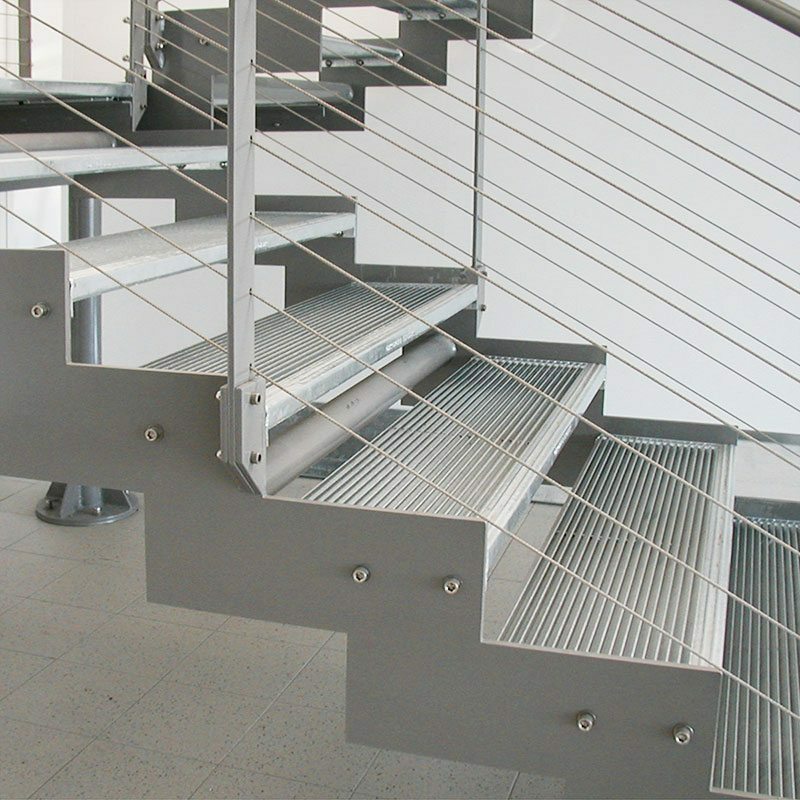 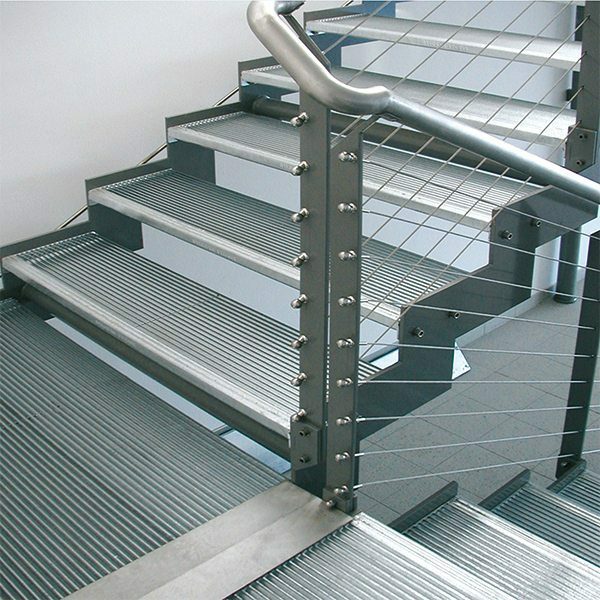 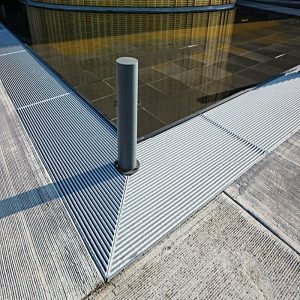 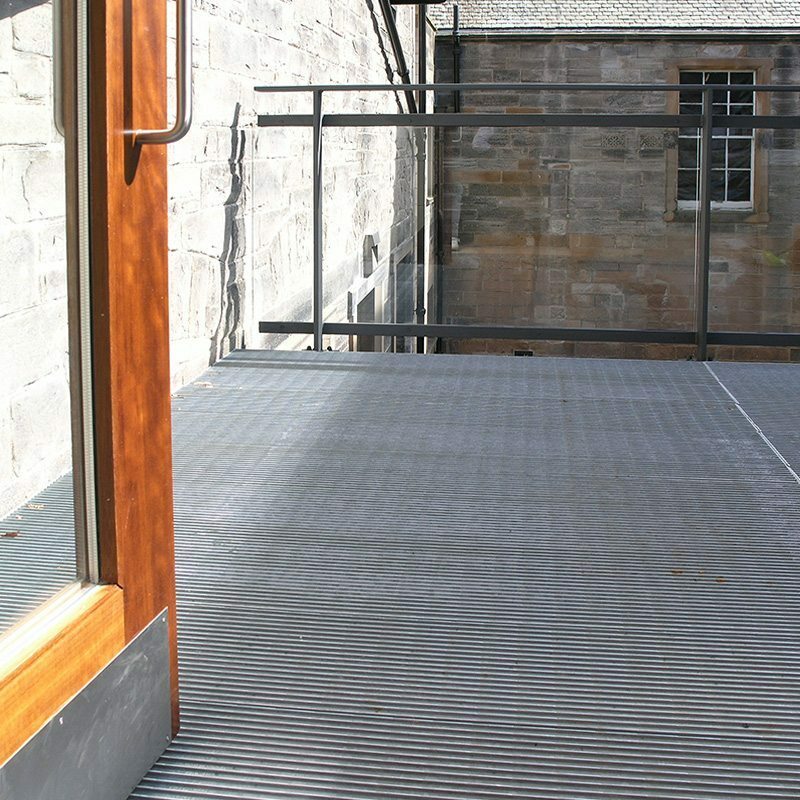 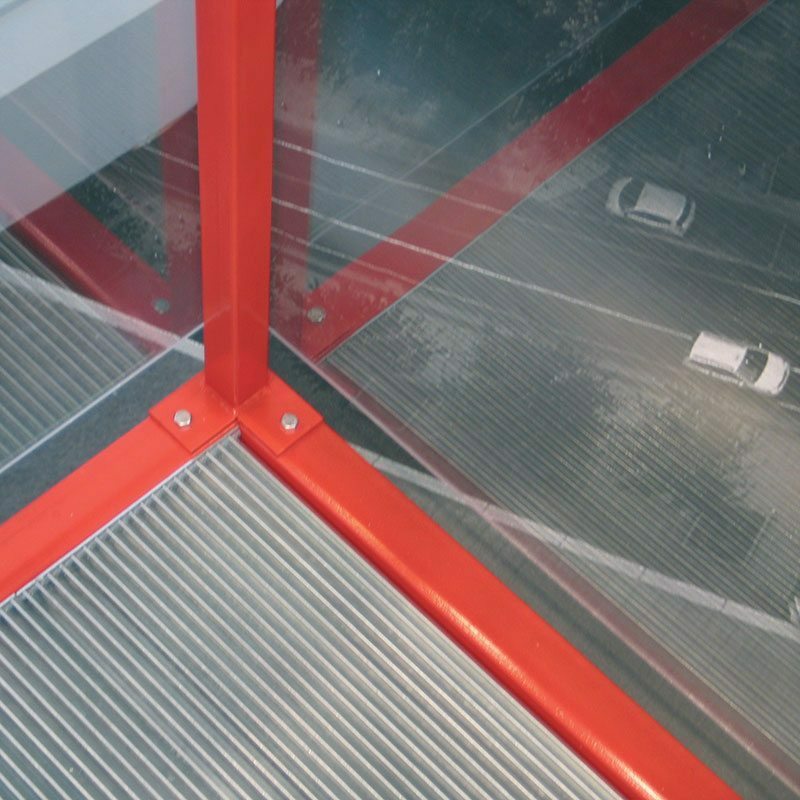 The AntiVertigo flooring system complies with BS4592-0 for people evacuation and has been specifically designed for elevated flooring, stairs, high-level walkways and fire escapes as a non-transparent grating for public safety and reassurance. 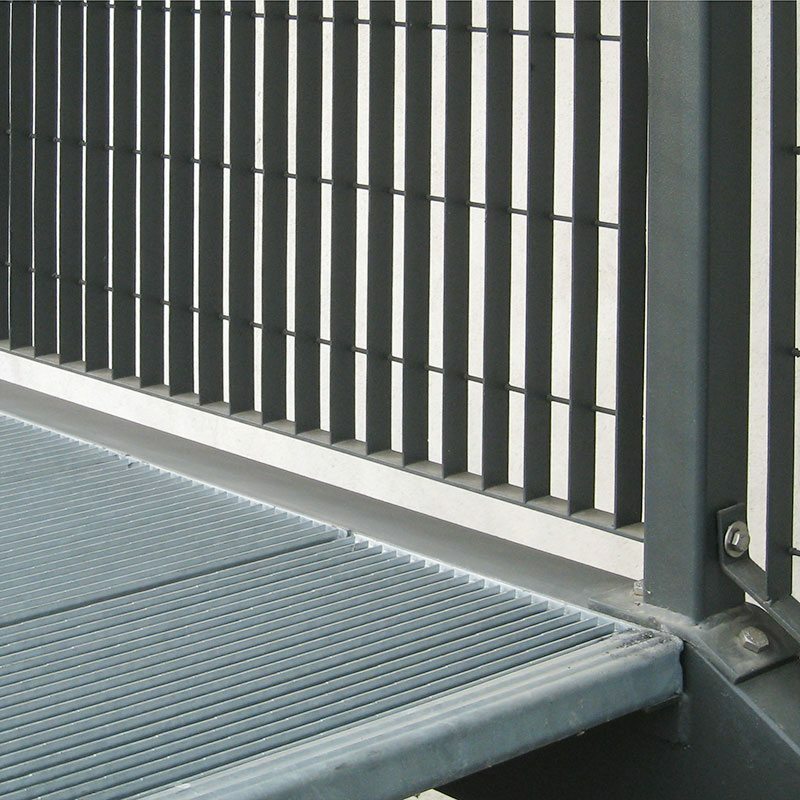 The unique design of tightly spaced, profiled bearing bars restricts transparency from any viewing angle. 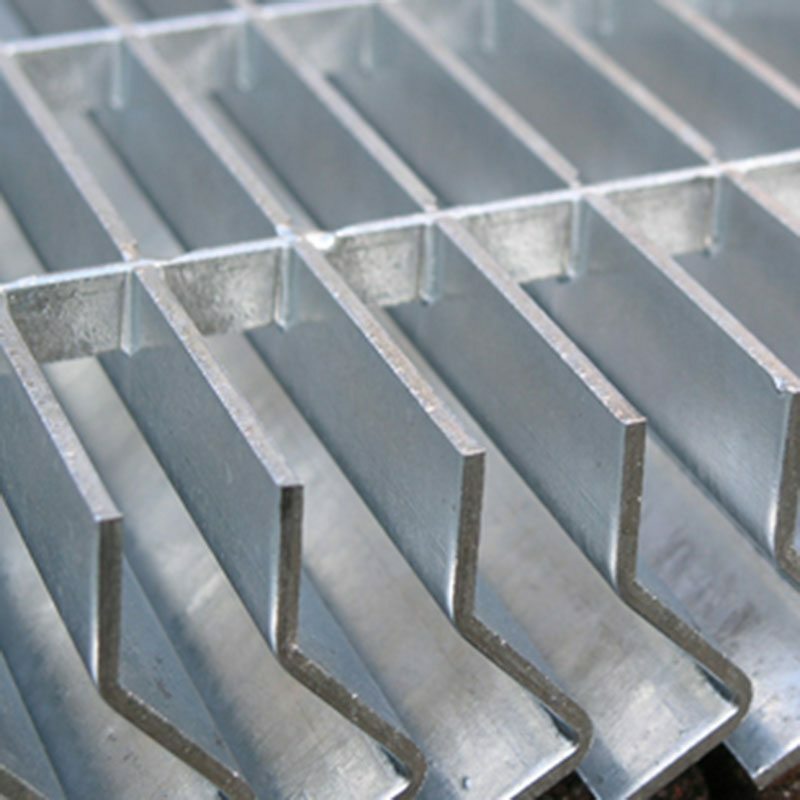 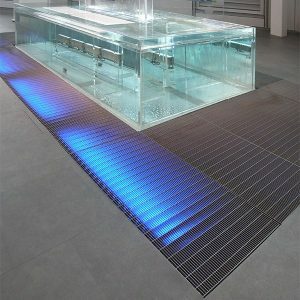 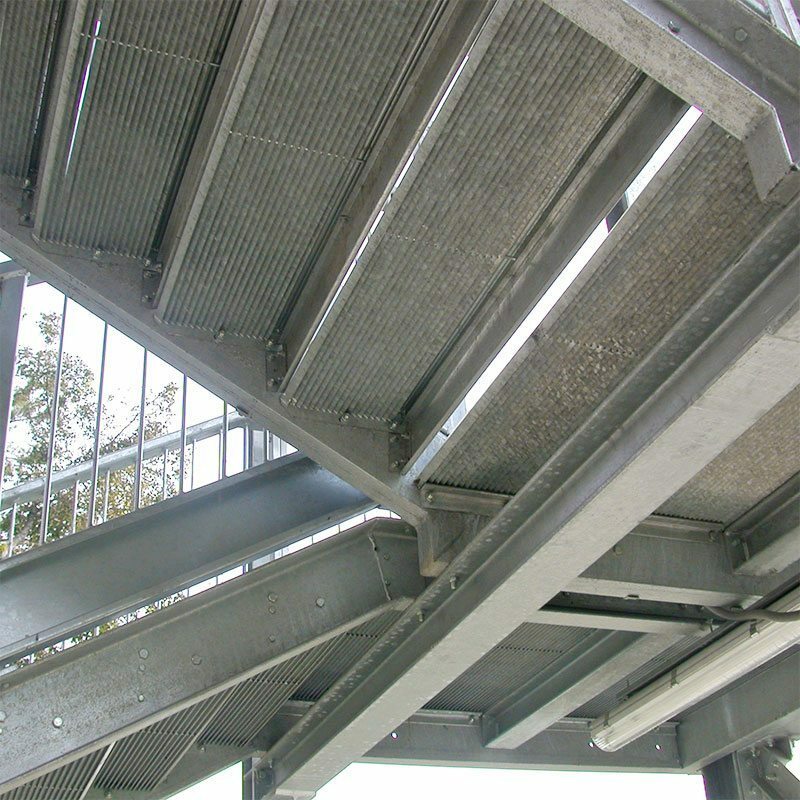 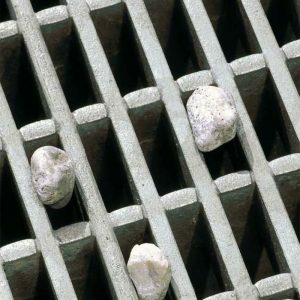 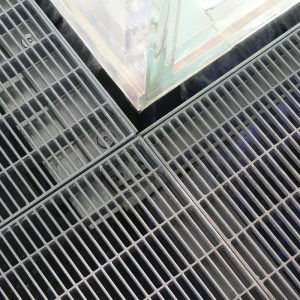 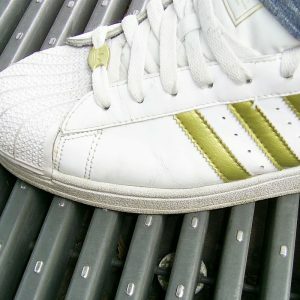 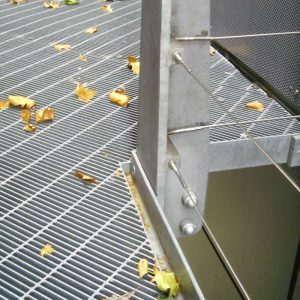 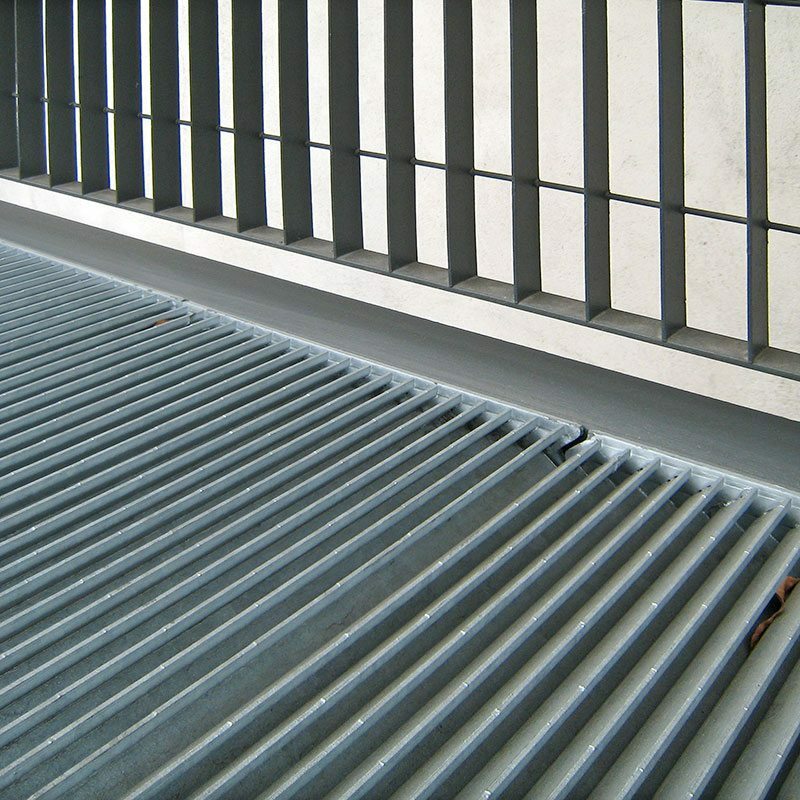 While providing a total visual screen, the grating retains a similar open area between the bars to a conventional grating for ventilation and drainage. 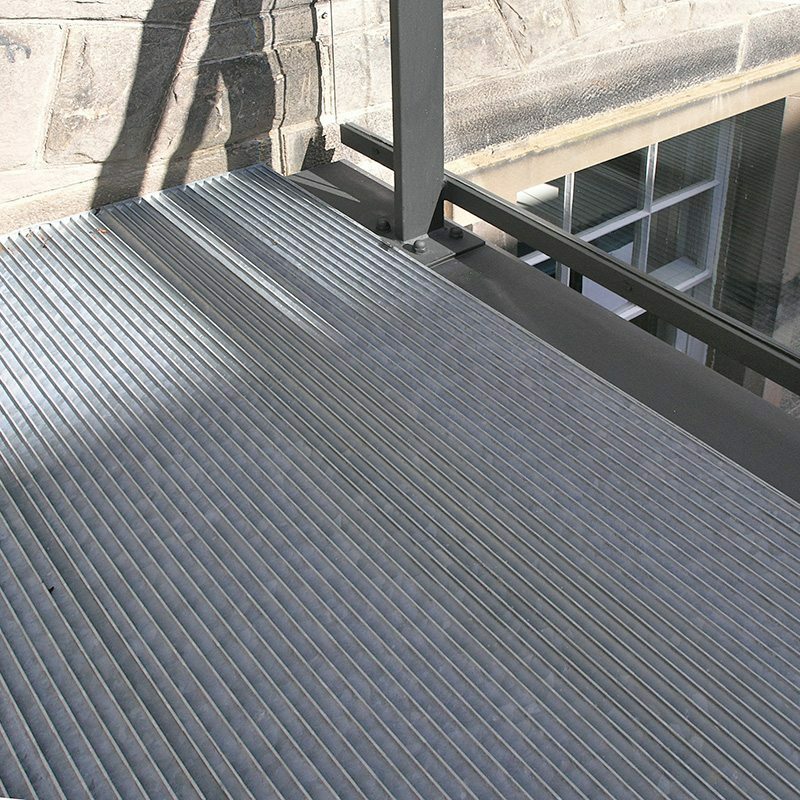 AntiVertigo is manufactured as stair treads with an integrated nosing or as flooring planks for landings or walkways. 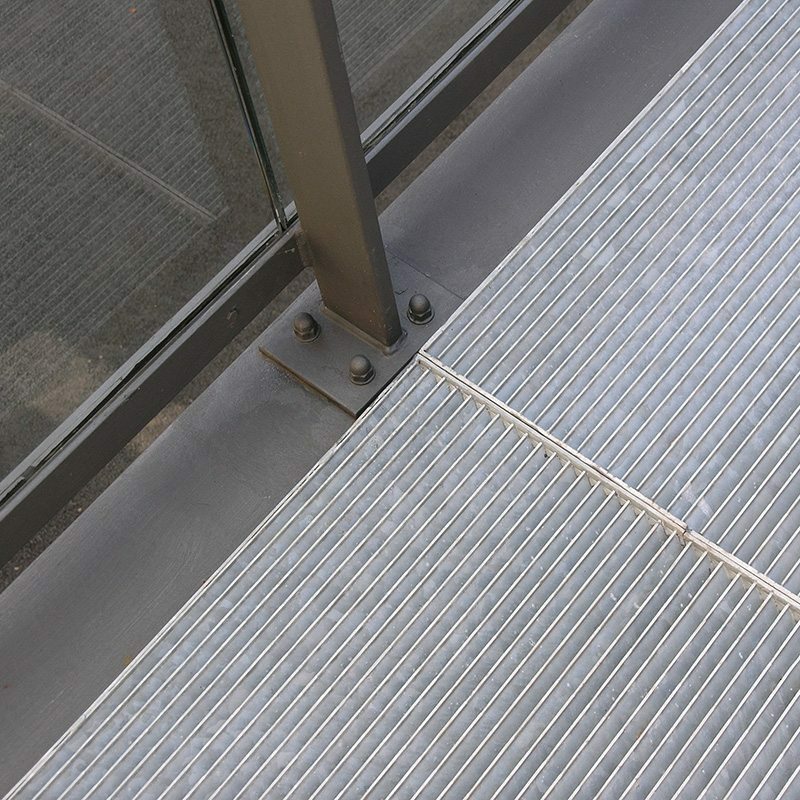 Flooring panels are manufactured to a modular format so that they can be combined through a neat interlocking of the framing bar without any lateral fixing to create a continuous surface. 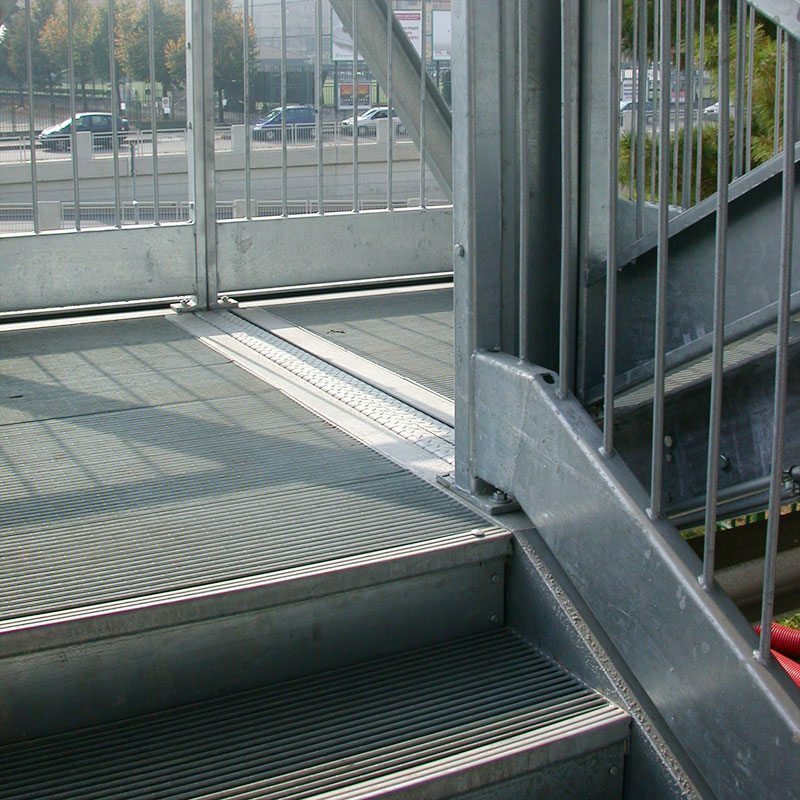 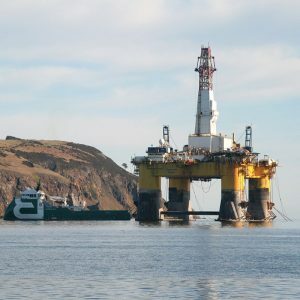 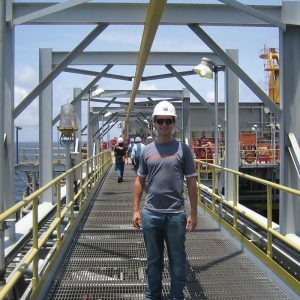 A standard landing or platform is composed of several Intermediate Panels and an End Panel with an anti-slip nosing extension. 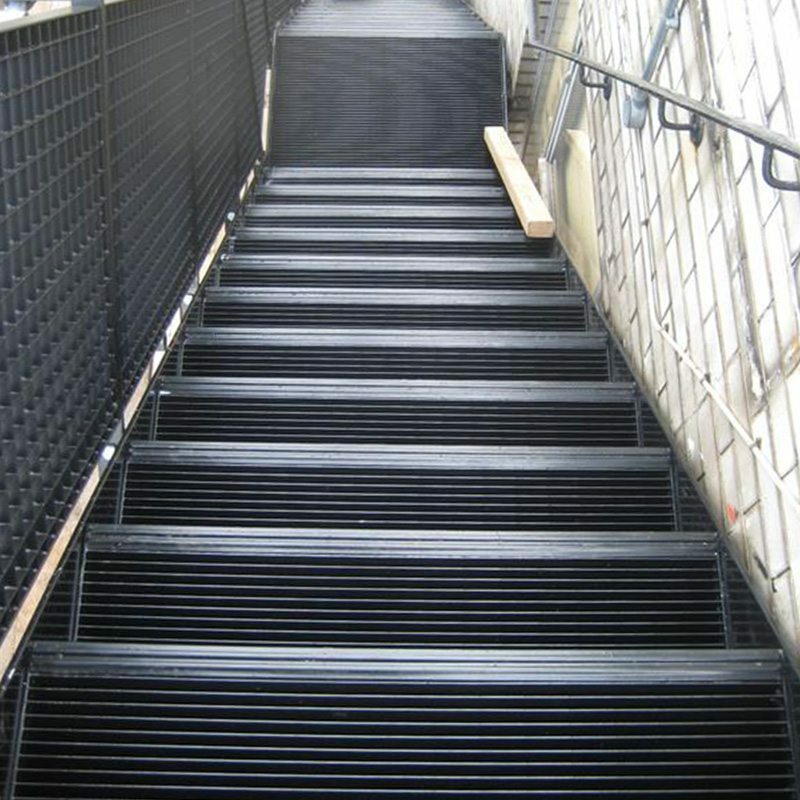 Non-standard infill panels are made to custom sizes. 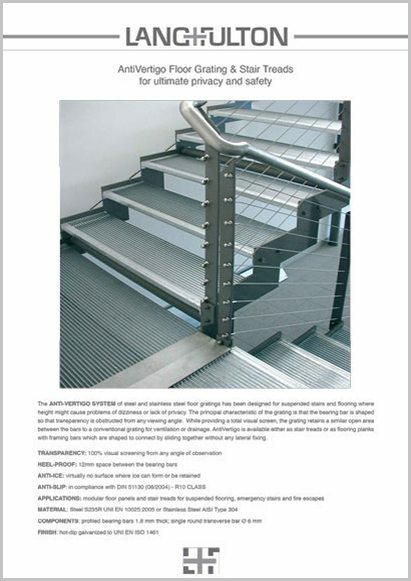 NEW: In addition to Steel S235R UNI EN 10025:2005, AntiVertigo is now available in Stainless Steel AISI Type 304.